This very brief issue is mainly to notify you of the free “Movie in the Park” to be shown this Friday in Belmar Park on the east wall of the Boys and Girls Club. See the calendar and the article. FRIDAY, July 23, 6:30 p.m. - FREE Movie in the Park, Belmar Park. The movie PETER PAN will be shown on the east wall of the Boys and Girls Club. Don’t forget your blanket. FREE popcorn too. In case of bad weather, the movie will be shown inside the Boys and Girls Club. See Attachments. FRIDAY, July 30, 6:00 p.m. – Summer 2010 Allied Community Meal and Community Conversation on Safety and Security, Boys and Girls Club. Sponsored by Fresh Madison Market. FREE. See Attachments. 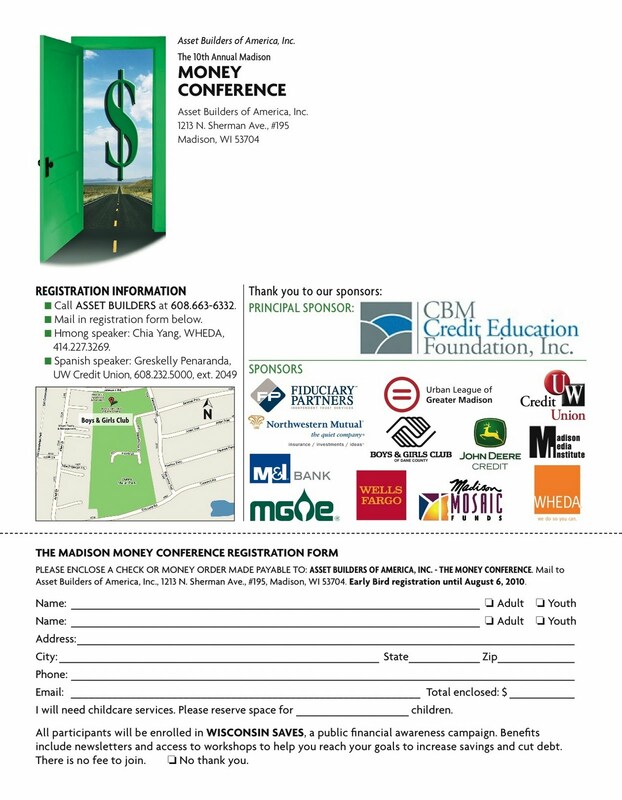 Saturday, August 14, 9 am-2:30 pm – Money Conference to help you understand money management, home-buying, starting a business, Boys and Girls Club. $5 adult, $2 youth registration includes breakfast and lunch if you register by August 6. See Attachments for details and registration blank. Peter Pan will be flying with Tinker Bell and confronting that mean Captain Hook on the outside east wall of the Boys and Girls Club this Friday starting at 6:30 p.m. This is the first of two “Movies in the Park” at Belmar Park this summer. The second movie, a Disney classic, will be shown on August 27. Bring your blanket or a lawn chair to Belmar Park on Jenewein Road just outside the Boys and Girls Club. All neighborhood residents, young or old, are invited to come watch this free movie and eat popcorn, also provided free. The idea for the free movies came from Sina Davis, new Vice President of the Allied-Dunn’s Marsh Neighborhood Association (ADMNA). Thanks are also due to Selena Pettigrew, the new ADMNA President, Jeff Glazer, President of the Allied Dunn’s Marsh Neighborhood Association (DMNA) and Carol Poole, DMNA treasurer and Fitchburg Alder for this area. Through their work, all the permissions and funding have been secured for showing the movie. A donation of $500 from Placon, located on McKee Road close to the neighborhood, is taking care of the cost of this enterprise. For more information, contact the ADMNA president at admna55@gmail.com See you there?